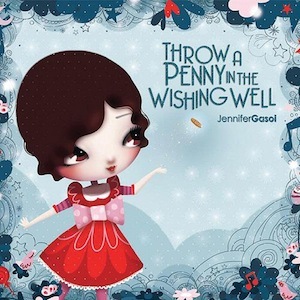 In 2003, the Jewish Independent reviewed Jennifer Gasoi’s debut children’s album, Songs for You, describing it as “intelligent, energetic, philosophical, educational, at times silly and, most importantly, it’s high-quality music.” Since then, Gasoi has garnered numerous awards and nominations for her music. The latest – her second CD, Throw a Penny in the Wishing Well, took home the 2014 Grammy Award for best children’s album. With the big January win still fresh, Gasoi – the first Canadian to ever receive this Grammy honor – returns to Vancouver next month. Living in Montreal since 2002, she is not only coming back to see family, but to perform two concerts on April 12 to benefit the Children’s Hearing and Speech Centre of British Columbia. Gasoi, who also won the 2013 Sirius XM Canadian Indie Awards for children’s artist of the year, the Parent Choice Award and the Canadian Book Centre’s selection for best children’s music, and was a semi-finalist in the International Songwriting Competition and a Juno nominee for children’s album of the year, took time to speak with the Jewish Independent before her upcoming visit. JI: You’ve won other honors and nominations in your career. In what ways, if any, is the Grammy different, and in what ways has it already affected your work/schedule? JG: The other awards and nominations were wonderful accolades, but winning a Grammy has taken my career into a whole new realm. I’m being asked to speak and represent many different organizations. I’ve had quite a few requests internationally – to play shows (U.S.), to submit my music to radio stations (Australia), to sell my CDs (a theatre company in Oklahoma) and I’ve even had interest to play a show in China. There’s a certain status associated with being a Grammy winner that I’m still getting used to! It’s been quite a challenge keeping up with all the requests and opportunities arising. There’s no question that new doors are opening and my horizons are broadening. JI: You have consistently put out quality recordings. From where do you find your inspiration? How do you keep the work fresh and interesting for yourself? JI: You’ve been very involved in the Jewish communities of both Vancouver and Montreal. In what ways, if at all, has your Jewish heritage/upbringing/communal ties influenced your life/work? I have the privilege of playing music for seniors and patients in several hospitals in Montreal. 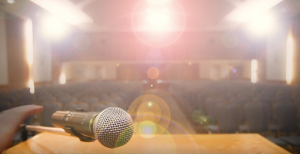 There is a significant Jewish population, so I often play classic Jewish songs such as “Hinei Ma Tov,” “Heveinu Shalom Aleichem” and “B’shana Ha’ba’a.” I once played Hatikvah during one of my gigs at a Jewish seniors group held in a synagogue, and everyone in the room stood up and sang along. It was so powerful, it brought me to tears. JI: Are there any projects on which you’re currently working/collaborating? JG: I have some projects in the works. That’s all I’ll say for now. My priority is to get all my business in order so that I can continue to create music, perform and reach a wider audience. JI: Is there is anything else you’d like to share? JG: I am so grateful to be living the life of my dreams. I hope that I can inspire others – big and small – to take chances in their lives, to live from the heart and know that anything is possible. Jennifer Gasoi will perform twice at the Children’s Hearing and Speech Centre of British Columbia’s annual Family Concert on April 12, at 10:30 a.m. and 1 p.m. The event at the Norman and Annette Rothstein Theatre – which raises funds to support CHSC’s audiology program – will also feature clowns, games, auction items and face painting. Tickets are $15.50 per child and youth under 17, $18.50 per adult 18 and over, and $60 for a family of four (two adults and two children under 17); they are available from childrenshearing.ca.